National Endowment for the Arts Chairman Jane Chu has approved more than $80 million in grants as part of the NEA’s second major funding announcement for fiscal year 2018, including an Art Works grant of $20,000 to the Kentucky Folklife Program at WKU to support the establishment of a Kentucky Folklife Network and online magazine. 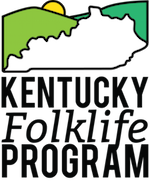 The Kentucky Folklife Network and magazine is an ongoing initiative of the Kentucky Folklife Program, part of the Department of Folk Studies and Anthropology at WKU, that aims to connect folklorists and folk arts organizations across the state. The work of the Kentucky Folklife Network will be showcased in an online magazine hosted by the Kentucky Folklife Program that will welcome contributions from Network members, folklorists, students, community scholars and community partners throughout Kentucky. The Network will kick off in the Spring of 2020 with a Kentucky Folklife Network gathering on WKU’s campus where participants can come together and discuss their work and generate connections, avenues of support, and potential partnerships. For information on the Kentucky Folklife Network, contact the Kentucky Folklife Program at kyfolklife@wku.edu. For information on projects included in the NEA grant announcement, visit arts.gov/news.